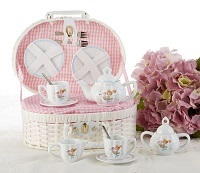 Delton offers a wide range of children's gifts including tea sets, plush dolls, ballerina & fairy themed items. 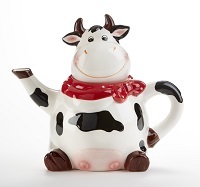 Our everyday gift lines include home decor, country soft sculpture, porcelain dolls & adult tea gifts. We carry seasonal decor in many mediums with 500+ new product additions each year. 2019 Christmas Pre-book Special includes all Christmas Merchandise only. 10% off $500 Christmas order / 12% off $800 Christmas order / 15% off $1500 Christmas order. You pick ship date! 2019 Harvest Pre-book Special includes Fall, Halloween and Thanksgiving Merchandise only. 10% off $500 Harvest order / 12% off $800 Harvest Order / 15% off $1500 Harvest order. You pick ship date! 10" Plush Spring Bunny holding basket of eggs. Item # 1114-0. 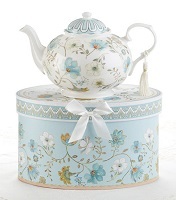 8118-5 Porcelain Tea Set for Two, Mermaid. Contains 2 cups, 2 saucers, 2 plates, 1 Tea Pot + Lid, 1 Sugar Bowl + Lid, 1 Creamer, 2 Forks & 2 Spoons in a woven basket for carrying. 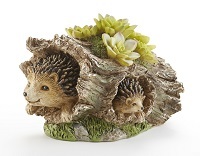 Item 4280-5 Resin Hedgehogs in Log measures 8" x 4.8". Visit our booth for more unique garden items. 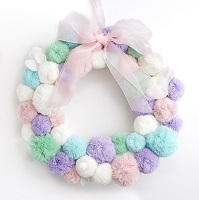 Item 1105-0 Spring Pompom Wreath measures 15".